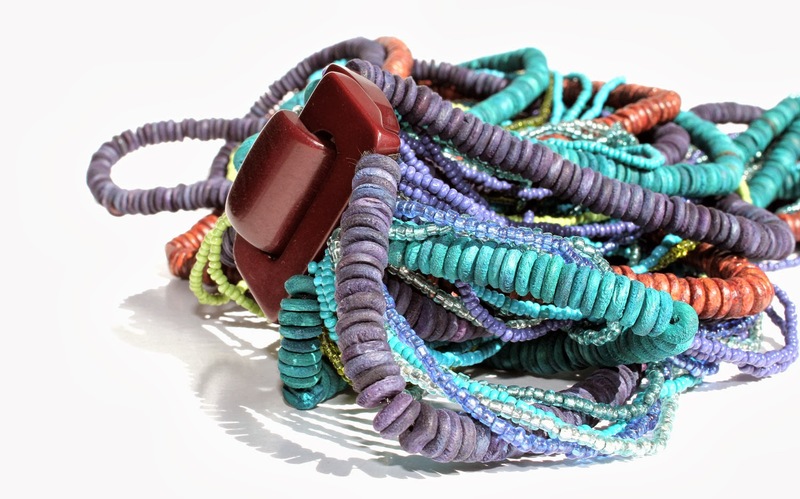 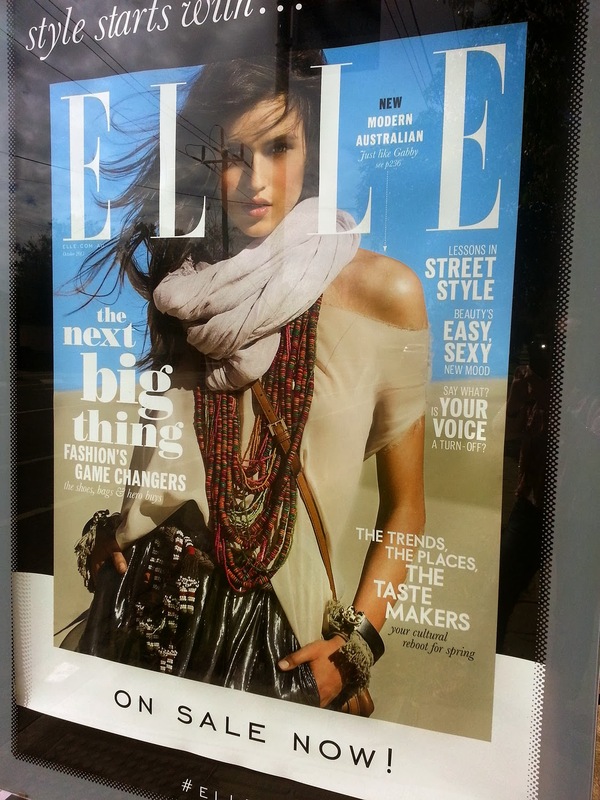 Featured on the cover of the current issue of Australian Elle (and various bus stops & billboards around town) the multi strand bead necklace C441. 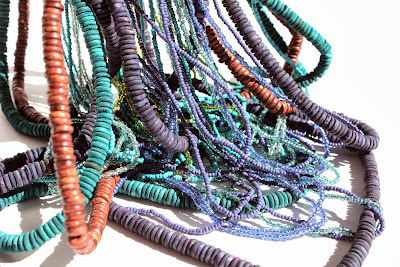 Made from resin with beads in wood and glass, it also comes in this watery blue combination. Whilst the pink has sold out blue is still available from My Island Home right here.